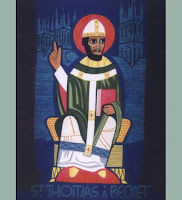 DECEMBER 29: SAINT THOMAS BECKET, BISHOP AND MARTYR. 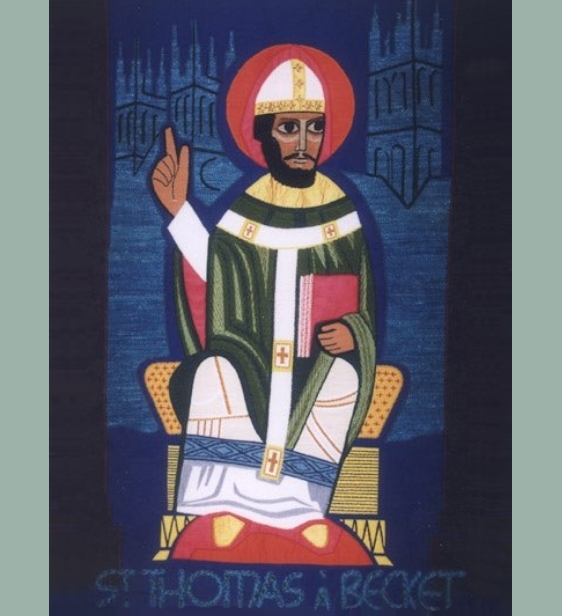 The Fifth Day of Christmas also commemorates the bishop and martyr St Thomas Becket, the famous Archbishop of Canterbury in the 12th century who spoke truth to power, who courageously opposed his friend King Henry II on laws that would have hindered the freedom of Christ's Church. The Church must never allow her witness to the Gospel to be subordinated or her place co-opted by the violence or seductions of the earthly city. As another English Thomas would point out three centuries later, we truly serve our country and/or any other worthwhile cause or political or social movement in this life only if we serve God first. When we acknowledge God, our own freedom is secured.